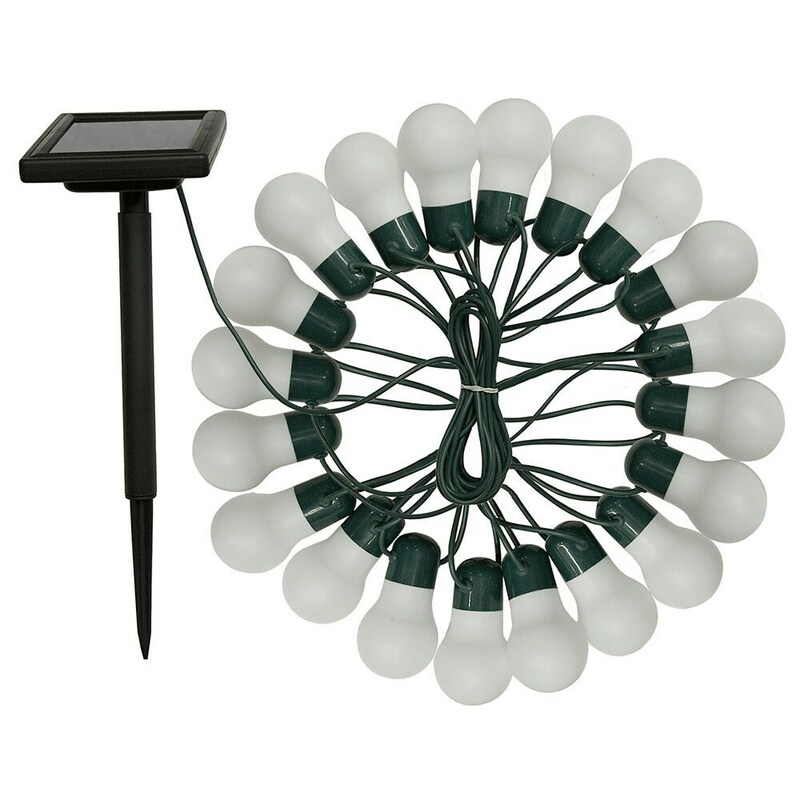 Add colour and light to the garden with this extra-long string of solar outdoor lights. Featuring 20 frosted white plastic LED bulbs on dark green wire, the built-in colour-change function provides instant ambience for outdoor parties and barbecues. Includes staked solar panel for easy installation anywhere in the garden.